Amazing Stayer!!! "Top Class Sapphire Coast Winner Over 2200m Last Start"
Cracka Canberra Winner Over 1600m & The Sapphire Coast Winner As Well Over The Same Distanvce, So Ideally Suits 1600m To 2200m & Will Make A Nice Country Cups Candidate As He Goes Along :) 2nd At Gosford 30k Race Over 1600m, Beaten A Mere .8 of a Length To The Ever Consistent Sydney City/Provincial Galloper "My Burning Heart" & Also Beating "Celebris" Who Then Came Out & Won By Close To 4 Lengths At Strong Muswellbrook :) In Fact "The Potato Pontiff" Ran 2nd Again At Wyong In A 37k Race To "Taikomochi", So Boy Talk About A Great Stayer Type On The Market!!!.. BEST FORMLINES: "My Burning Heart", "Celebris", "Taikomochi" & "Gacela"
EMBARGOES: No Embargoes Except Saddle Pinched Once & Bucked, Lost The Rider, So Had To Trial Again "See Stewards"
The Potato Pontiff (g. by Power of Destiny). 3 wins. See below. Lady Selkie (f. by Gio Ponti). Winner at 1300m in 2017-18 in Aust. Miss Monique (f. by Power of Destiny). Placed in Aust. STAY SEATED (Langfuhr). 6 wins to 1400m, A$92,460, Tamworth JC Gainsborough S., L, 3d STC West Leagues Campbelltown H.
Mighty Slick. 2 wins at 1600m in Aust. Alfalfa. 2 wins at 1600m, 2050m in Aust. Baby Gold. 2 wins at 1300m, 1350m in Aust. Encyclopedia. Placed at 2 in Aust. ZAZZMAN (Distinctly North). 8 wins from 2000m to 2800m, A$879,900, VRC Queen Elizabeth S., Gr.2, MRC Eclipse S., Gr.3, Geelong Cup, Gr.3, VRC Lavazza Long Black H., VATC Club H., VRC Vodafone H., 2d VRC Think Big H., 3d VRC Melbourne Cup, Gr.1, MRC Sandown Classic, Gr.2, Herbert Power S., Gr.2, VATC Wallace H., SAJC Redbrook-Invicta Carpets H., 4th Ballarat Cup, L.
Anvil Green. 11 wins from 1200m to 1700m, A$140,997, to 2018-19, 2d WATC Airspares Service & Parts H., Argonaut Corp Advisers H., 3d WATC Club Membership H.
Not in the Nick. 2 wins at 1200m to 2018-19 in Aust. TIMBER TRADER (Woodman). 3 wins at 1800m, 2450m, R711,700, Turffontein South African Derby, Gr.1, 2d Newmarket Sea Cottage S. Sire. Lord of the Pines (Royal Academy). 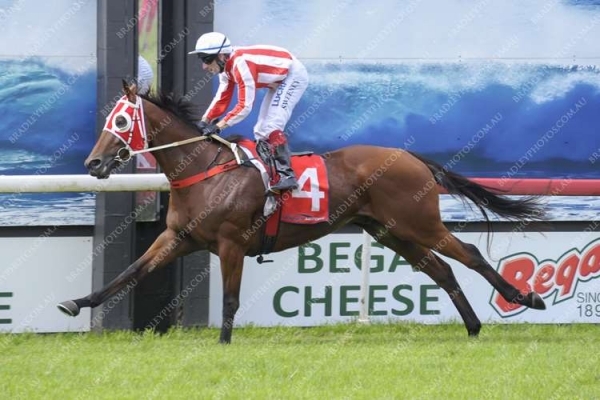 6 wins at 1400m, 1600m, A$195,060, S$375,545, VATC Adelaide FC H., Singapore TC Class 1 H.-twice, VATC Patrobas Welter H., 1600m-in track record time, MRC Bert Bryant H., SAJC Bridgestone H., 2d SAJC Da Costa P., L, Singapore TC Raffles Cup, L, Queen Elizabeth II Cup, L, Committee's Prize, L, Chairman's Trophy, L, VRC EPB Associates H., VATC Shopfitting & Building Services P., Smorgon Arc P., Oakleigh Amateur FC H., MRC Magic Ruler H., SAJC Sky Channel H., Singapore TC Benchmark 97 H., 3d SAJC National S., Gr.3, Ipswich Cup, Gr.3, Qld Tatt's RC Tattersall's Open Mile, VRC Andersen Consulting P., VATC Jayco Caravan H., 4th MVRC AAMI Vase, Gr.2, VRC Auckland Racing Club H., L, QTC Marco Polo H., L, Singapore TC Kranji Mile, L.
Romantic Journey. 6 wins to 1250m, QTC Lyndhurst Stud H., BTC Flight Centre H., 2d BTC XXXX Gold H., 3d QTC Conrad Treasury H., BTC City Pacific Finance H., Padua College H.
Kingview. 5 wins to 1400m, A$75,080, S$199,274, AJC Kensington H., STC BD Series H., St Patricks Rugby Club H., Singapore TC Class 2 H., Benchmark 95 H., 2d Singapore TC Class 2 H.-3 times, Class 2 H., 3d AJC Peter Donnelly Motors H., Singapore TC Class 2 H., Benchmark 90 H.
BOUZY ROUGE (Snitzel). 9 wins-2 at 2-from 1000m to 1600m, A$296,555, Wyong RC Mona Lisa S, L, ATC Hahn Super Dry 3.5 H., 2d AJC Plenary Group 2YO H., Sandringham 2YO H., ATC Warwick Farm H., Clarence River JC South Grafton Cup, Dubbo Cup, 4th ATC Angst S., Gr.3, Newcastle JC Tibbie S., Gr.3, Hawkesbury RC Rowley Mile H., L.
Race Record: 27 Starts 3-4-2 A$58,160. 3 wins from 1600m to 2200m to 2018-19 in Aust. 30/Dec/2016 3rd of 6 --trial--ATC Barrier Trial, 900m. Refuge Bay was 1st and Medaglia Valore 2nd. 17/Jan/2017 7th of 8 --trial--ATC Barrier Trial, 1030m. Sizzling Bullet was 1st and Taj Mahal 2nd and Righteous Mate 3rd. 31/Jan/2017 2nd of 9 --trial--ATC Barrier Trial, 1030m. Kunming was 1st and America 3rd. 26/May/2017 8th of 8 --trial--ATC Barrier Trial, 1030m. Dashing Special was 1st and Regrading 2nd and Bashirah 3rd. 14/Jun/2017 5th of 7 --trial--Illawarra TC Barrier Trial, 800m. Eskimo River was 1st and Penske 2nd and Wilcannia 3rd. 04/Jul/2017 5th of 7 --trial--ATC Barrier Trial, 1030m. Taikomochi was 1st and Dracarys 2nd and Celebris 3rd. (8.3) Illawarra TC Horsley Maiden P., A$30,000, 1400m, time 1:25.70. Track good(3). Carried 59.00kg. Chatelard was 1st and Gaytime Girl 2nd and She's Demanding 3rd. Trainer: T R Martin. Owner: N Moraitis A M. Jockey: Y Ichikawa. 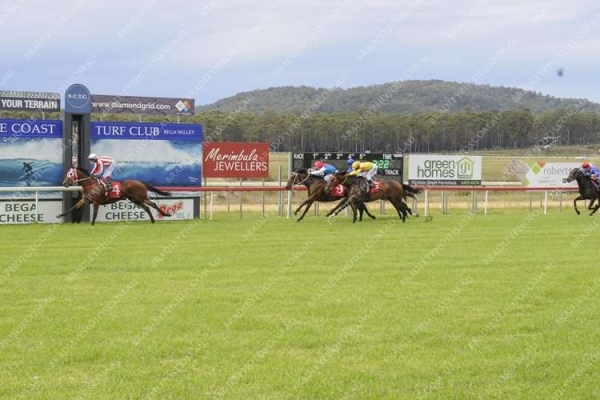 (13.0) Moruya JC Bay Post & Moruya Examiner P., A$20,000, 1650m, time 1:39.74. Track good(3). Carried 56.50kg. Etymology was 1st and Image Neat 2nd and Sonnets 3rd. Trainer: R J Howes. Owner: R J & Mrs P L Howes. Jockey: M Travers. (0.0) Sapphire Coast TC George Grant Memorial H., A$22,000, 1600m, time 1:39.13. Track soft(6). Carried 57.50kg. Tipta Tantivy was 1st and Georgian Court 2nd and City of Shadows 3rd. Trainer: R J Howes. Owner: R J & Mrs P L Howes. Jockey: Billy Owen. 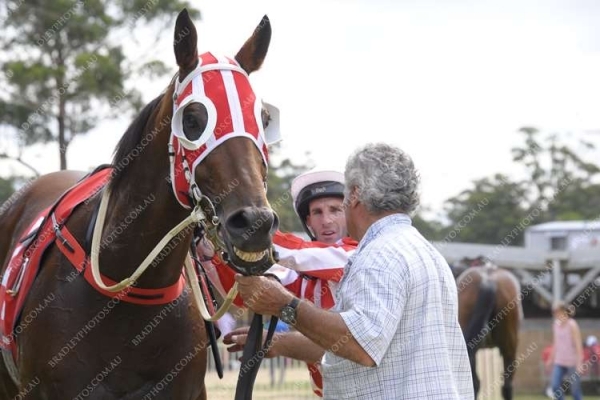 17/Feb/2019 1st of 3 --trial--Shoalhaven City TC Barrier Trial, 900m. Valachi was 2nd and Champagne Rush 3rd. (7.6) Sapphire Coast TC McDonalds Merimbula & Bega H., A$21,560, 1400m, time 1:24.25. Track good(4). Carried 57.50kg. Moss the Boss was 1st and Bella Deluxe 2nd and Fusca 3rd. Trainer: R J Howes. Owner: R J & Mrs P L Howes. Jockey: B P Ward.